Surrounded by the sweet scents of the Holy Land, Shimon Berdah, founder of Les Parfums Itamar, remembers another life. In the 1970s Shimon’s success in the Parisian fashion industry did not end with designing garments. His clothing line would only be complete with a signature fragrance of his own. Throwing himself into his profession, Shimon was shocked to return home one day to face a small stranger. “Who is this child?” I asked my wife. “He is your son,” she answered. While Shimon was throwing himself into his career, his baby had grown up. Shimon, along with his wife, Sarah, and the two children they had at the time went from one extreme to another. They left a successful secular lifestyle in France and made “aliyah” to the Land of their Fathers. If they were going to make the big move to Israel, their homeland, they wanted to be somewhere they could contribute. The Berdah family first lived in Northern Israel, continuing to design fashion while learning more about their Jewish heritage. 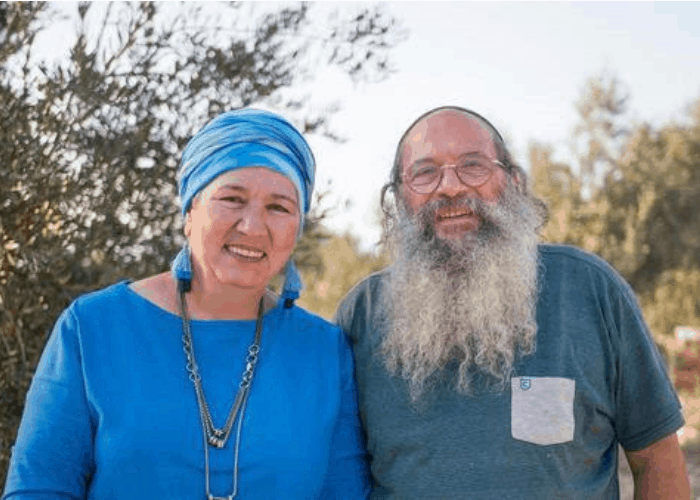 After six years, the growing Berdah family had a strong desire to share in the destiny of the Religious Zionist movement’s goal of resettling Judea and Samaria. They discovered a fledgling community, called Tel Chayim at that time. 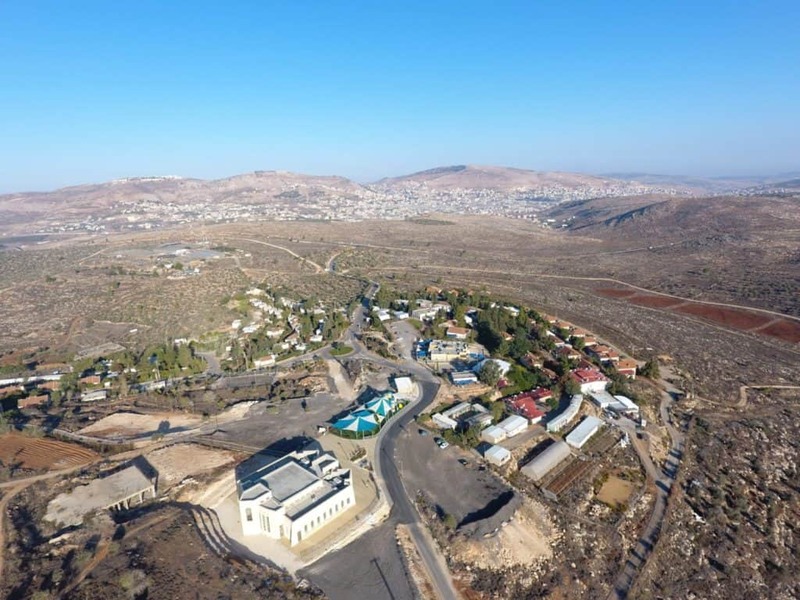 They were among the first dozen families to put down roots in what is now the thriving and growing community of Itamar, named after the high priest who offered the fragrant incense in the Tabernacle. Only a true visionary could have predicted the 1,200 residents enjoying the vibrant neighborhoods, schools, agriculture and businesses that are found in Itamar today. As for the Berdah family that originally made Aliyah with two young children, they now have six children and twenty-two grandchildren spread throughout the Land of Israel. 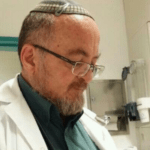 Around this time, Shimon began researching the ingredients and proper combination that made up the “Ketoret”, the incense used for service in the Tabernacle and the First and Second Holy Temples of Jerusalem. He longed daily for the return of this service to the Third and Final Holy Temple. His mentor, Rabbi Yehuda Meir Getz of Blessed Memory, Rabbi of the Western Wall, gave Shimon a clear message: It was not yet the right time. Far from being discouraging, Rabbi Getz charged Shimon to continue creating perfumes inspired by the Holy Land. An ancient Biblical tradition teaches the importance of fragrance: The word for smell, Re’ach, and the word for spirit, Ruach, are from the same Hebrew root. A pleasant smell, used to revive us from the state of mourning at Sabbath’s end, is connected to the beginning of time: In the account of man’s first sin, the Bible reports that Eve saw the forbidden fruit tree, heard the snake, touched the tree and tasted the fruit. However, the sense of smell was not profaned by the sin. It is for this reason that pleasant smells, in and of themselves, can provide such emotional and spiritual well-being. Pleasant fragrance is good for the spirit. By establishing Les Parfums Itamar, Shimon was able to bring together his prior interest in fragrance with his passion for his Land and its beneficial properties. Levona (Frankincense), Mor (Myrrh) and Etrog (Citron) are just three examples of over 150 flowers and other vegetation he uses to prepare cold-pressed fragrances by hand, for over twenty years, the same way these scents were made in ancient times. 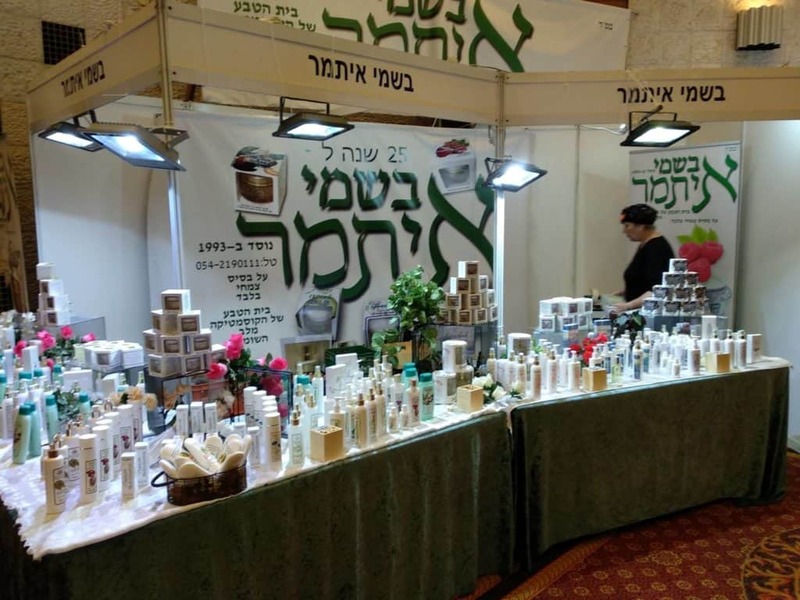 A display of Itamar Perfumes at a sale in Israel. Shimon is committed to the highest standards of this ancient craft, using the ingredients that bespeak a love for the Land of Israel and its holy heritage. With such attention to detail and high-quality natural ingredients, what is the secret to the reasonable prices of his perfumes and creams? Les Parfums Itamar has grown organically through satisfied repeat customers’ word of mouth praising their perfumes, moisturizing creams and body lotions. The Heart of Israel is now working together with the Berdah family to make these products available worldwide, by adding them to our online store. Passover: Does G-d Want Us to Lie? Has Abraham’s Tent Been Found? !